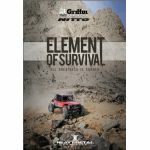 Australia's Biggest Offroad 4x4 Competition on one packed DVD. 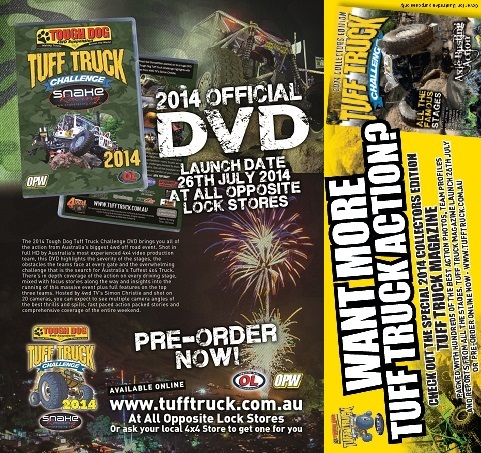 2014 features highlights in TV segment style Tuff Truck 2014 memories go down in history. Tough Dog Tuff Truck Challenge 2014 again lifted the bar on what is already by-far the BIGGEST 4x4 event in Australia. Following a week of torrential rain the already toughened tracks would truly test the tuffness of the HUGE field of 67 trucks. After day 1 of competition many trucks were already on trailers proving they were no match for the INSANE rock challenges devised to shake down the weekend-wheelers from the tried & tuffened rock-ready teams. 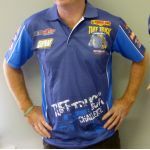 See all the precision line selections Â and MASSIVE crowed roaring rolls on this HUGE DVD from the comfort of your couch. Join us and celebrate this annual carnival of EXTREME tuffness! ARYA TUFF ENUFF? 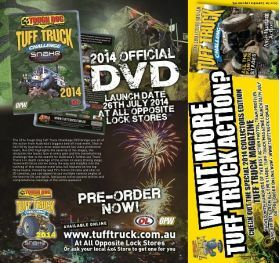 TUFF TRUCK 2014 MAGAZINE COLLECTORS EDITION PACKED WITH HUNDREDS OF THE BEST ACTION PHOTOS, TEAM PROFILES AND REPORTS FROM ALL THE STAGES.